Through most of high school, one of my goals was to cover an entire backpack or purse with patches as a punkified self expression without the oversized chain pants. My collection grew, but my style changed and the sizes of my bags became smaller. 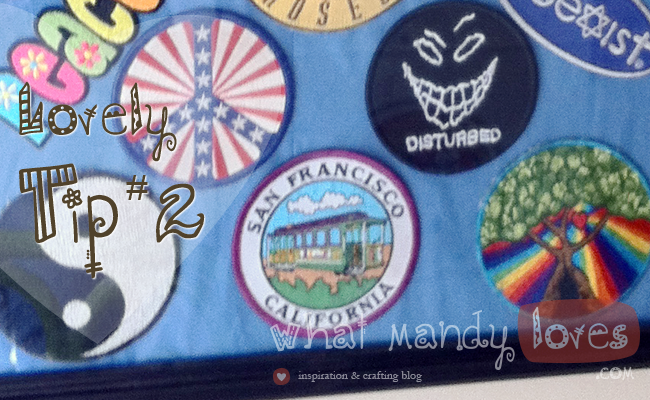 I still wanted to show off my patches in some way (because my collection is pretty awesome). 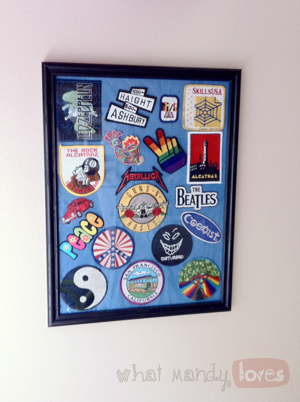 Place your patches in a frame attached to a contrasting background. I used some flimsy tissue paper to hide the hideous cardboard backing of the frame and help the patches stand out (and also to attach the patches to something when gravity tries to pull them down). How do you display your patches? Inside? Outside (worn in some way)? Let me know in the comments.